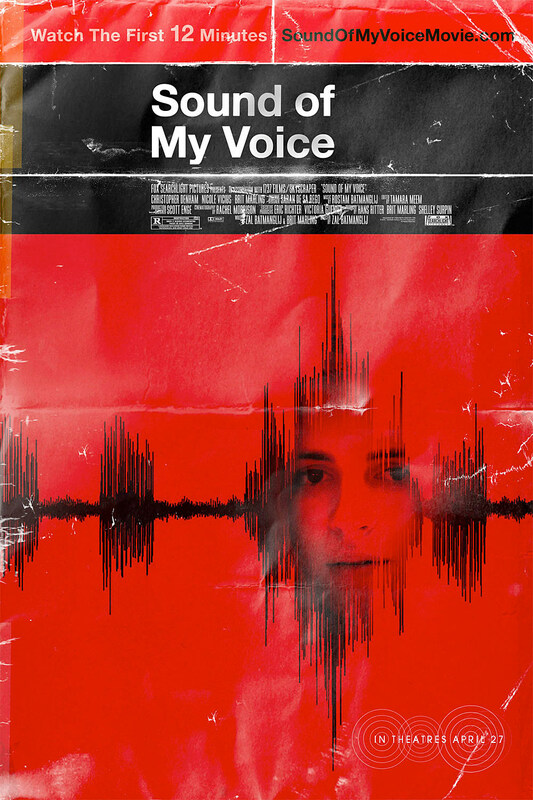 It's been a long journey for Brit Marling and Zal Batmanglij's 'Sound of My Voice,' the quiet little sci-fi film about a couple infiltrating a cult led by a beautiful, mysterious woman named Maggie (Marling), who claims she's from the future. But the film is set for release this summer and we finally have a poster for the film. The first official poster (below), courtesy of the Fox Searchlight Tumblr page, is in keeping with the previous poster's red theme, but this one features Marling as Maggie with some intentional distress. After premiering to acclaim at both Sundance and SXSW in 2011, Fox Searchlight purchased 'Sound' along with Marling's other sci-fi indie feature, 'Another Earth.' The latter was released to little praise, while 'Sound' was pushed back to 2012. It's been over a year since the film premiered, but Fox Searchlight has created an interesting campaign for the film, including the release of the first 12 minutes of the film; when viewers click on interactive "hotspots" in the video they're given messages from Maggie's "followers," and other hints and extras about the cult in the film, including links to viral sites. Silas Lesnick at Coming Soon found some information on one of the sites about meetings at LA's Ukrainian Cultural Center every Thursday night at 7 pm. He wrote about his experience visiting the center, which will have cult members from the film providing fans with a unique interactive experience every Thursday until the film's release. Check out the poster below, which you can click to see in hi-res.